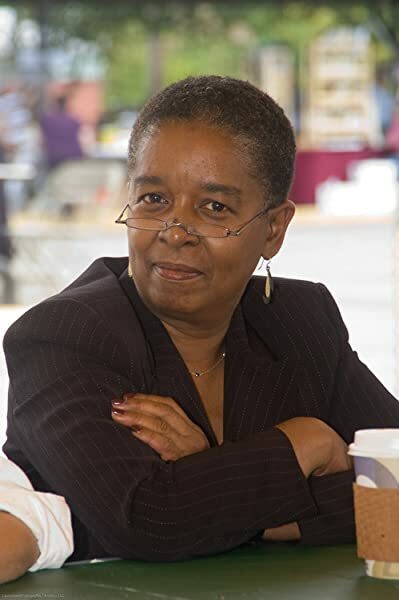 Beverly Jenkins is the recipient of the 2018 Michigan Author Award by the Michigan Library Association, the 2017 Romance Writers of America Nora Roberts Lifetime Achievement Award, as well as the 2016 Romantic Times Reviewers' Choice Award for historical romance. She has been nominated for the NAACP Image Award in Literature, was featured in both the documentary Love Between the Covers and on CBS Sunday Morning. Since the publication of Night Song in 1994, she has been leading the charge for multicultural romance, and has been a constant darling of reviewers, fans, and her peers alike, garnering accolades for her work from the likes of The Wall Street Journal, People Magazine, and NPR. 5.0 out of 5 starsWonderful heartwarming, hilarious and did I say wonderful? Bernadine Brown put her life on hold for her husband an oil executive. Then one day she walks in his office and finds him doing more than dictation with his secretary. Not the kind of woman to fall apart, she hires a top notch divorce lawyer and ends up with $275 million. Being a former social worker and a christian, she wants to do good with the money. So when she sees a historic black founded town; present day 'Henry Adams' from from the novels,'Vivid' and 'Jewel' she buys the town from ebay. The town is failing, young people have left to find work and excitement and they need cash and the injection of new blood. The mayor, Trent July is delighted with the plans that Bernadine has to bring life to the town, but she has detractors. While the romance is relagated to Trent and his former love who dropped him like a hot potatoe when she left town to go to college 15 years before; there is plenty of laughs, drama and sweetness. Bernadine has a plan to bring foster parents and children to the town and to raise them as a community. The children, a young girl Crystal,abandoned by a drug addict mother; Amari a 12 year old car thief; seven year old Zoey who was found in a carboard box near the dead body of her mother covered in rat bites and Devon who raised by his grandmother and wants to take up the vacancy for town preacher; and Preston the firestarter. The children will have you taking turns to wipe tears of laughter and sadness from your eyes, while you read this. I wasn't sure what to make of a non-romance novel from Ms Jenkins but her talent for storytelling remains undiminished. I just love this book, but I really wish I had bought it as a book because you can not share your kindle with others to read. but I will buy the follow-up stories in book form. This book is so well written could not put it down. Good story from the start to end, very good characters Bernadine is a lady who knows what she wants. Couldn't put it down! I enjoyed this story. Bernadine is a strong woman, who although she has cheating husband doesn't get depressed or complain. Instead she gets even by taking the cheating man to the cleaners. Because of that she's a very rich woman who believes that for great blessings must come great giving. So she prays for guidance and is sent a direction - buy a town and help children in the foster care system. I really enjoyed this book. Coming from a small town in Iowa I found the characters and experiences that the people of Henry Adams, Kansas experiences were very believable - even Riley and Cletus. I was a little hesitant that the book was labeled as "Christian Fiction" because sometimes the characters are too "preachy" and self-righteous, that wasn't the case in this book. Bernadine has a strong faith but doesn't push it onto anyone else nor does and she's very human. The foster kids were terrific. I was crying over them all. The ending was a bit rushed but it did have closure which I appreciated. I will be reading the rest of the books in the series. Anyone who has ever had a dream that seemed impossible, should read this story. I celebrated by 80th birthday on July 2. In the early 80's, one of my coworkers and I would talk about starting our own town. We said if Levitt could do it, we could. Almost every lunch hour we would talk about this imaginary town that we were going to start. Well, we were never able to do it. When I read this book, it just made me feel so good that although it was just a story, it can be done. By the way, my co-worker and I are black, so the fact that a black women did it, made it even better. How this story was woven together with history, redemption, love, restoration and happiness, blew my mind. I read the story and then I purchased a copy for my ex-co-worker; who in turn gave it to her niece to read. Great book! Praise be to God and the author for such a wonderful read. This is among only a few books that I have given 5 stars, so that says it is great. I enjoyed several chapters: a childhood glimpse of each child, the seniors coming together to be apart of this fantastic giving and reviving community, the silliness of owning a pig which is portrayed to be higher than the wife, and how the 1st judge so timely meets with an unfortunate but justifiable injury. Oh yes, Riley and Cletus must be in hog heaven! Highly suggested reading! Newly divorced and financially armed, Bernadine Brown is looking for fresh purpose for her life. The answer came in the form of the never-before-heard-of-town of Henry Adams, Kansas. With a rich African American heritage, the town is sadly experiencing physical decline, as well as a decline in the memory of outsiders who once cared. To cure its financial woes, the residents put it up for sale online. Utilizing her new wealth to purchase the town and became their savior. Not knowing what to expect, she travels to Henry Adams to assess the status of her investment. The residents of the town, including the current mayor, Trent July, don’t know what to expect of their new owner either. Her fresh ideas and their allegiance to their ancestors make for an interesting mix as they seek to work together to renew their lost legacy. Bring on the Blessings by Beverly Jenkins was an awesome read. I was hooked from the first few chapters. I love how Bernadine is strong and assertive, yet she as such a considerate heart when it comes to helping others. I also enjoyed the strong community bond that is so uncommon in society today. The combination of generations represented and background of the characters make for a robust storyline. This is the first title I have read by Ms. Jenkins and I cannot wait to read the second installment of this series, A Second Helping. I would strongly recommend this book to all readers, but especially to those who enjoy stories about African American heritage. 5.0 out of 5 starsBlessings....A Wonderful Series! Wow, I spent the entire weekend reading all 5 books in the series! 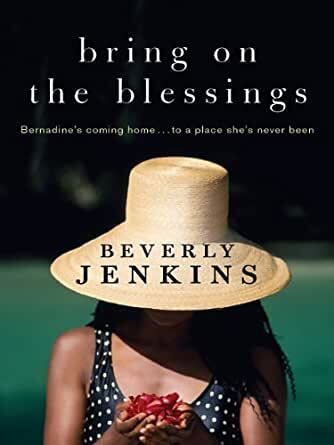 A friend told me about Beverly Jenkins and after looking at the large number of books she had written I decided to start with Bring on the Blessings....and I loved it. I read it quickly and then proceeded to read the other books in the series, of course I did nothing else but read the weekend away, buy it was worth it. I really enjoyed the town of Henry Adams and the people as well!though I have to say that by book 5 I was really annoyed with young Devon, but then so were the characters in the book. BJ has a real talent for creating characters and making you care about them. The story of young love, destroyed by thoughtlessness but renewed by and reunited by the passage of time to adulthood. The story of one women's courage to start over and give back that changed the lives of many and brought true blessings. It's a lovely story and I can't wait to revisit them in the future. You should take a trip and check out Henry Adams, you won't regret it.